Bajaj electricals participated in world biggest expo for companies in electricals and luminaries industry called Lighting+Building expo. This edition of expo saw about 2.5 lakhs of people visiting the expo across 6 days and participation from about 2600 companies from across the world. Since BEL was participating for the first time in this expo, they wanted to showcase their offerings in the most interactive and best possible way. Bajaj wanted an interactive approach for the expo. 1. Tablet AR App through which if a visitor would scan a particular room he would get to know the specifications of products present in that room. 3. 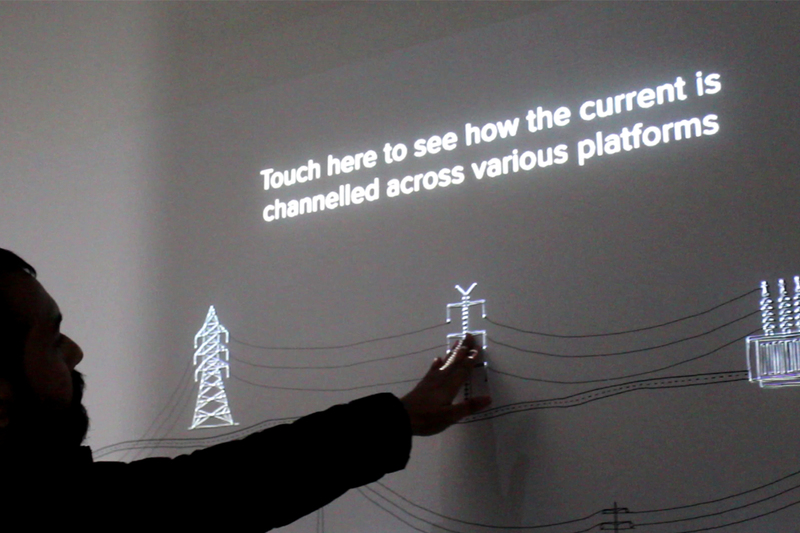 Interactive Touch wall - An 18 feet touch wall for their EPC (engineering, Procurement and Construction) offerings through the journey of electricity to highlight where all BEL is present at various stages of journey of electricity - from the moment it is generated, transmitted and consumed at various points. 4. 3D projection mapping - Developed a 3D projection mapping experience for the visitors to showcase Home automation capabilities. These activations helped visitors understand BELs offerings better and BEL was able to engage the visitors in a much better manner. Developed a 3D projection mapping experience for the visitors to showcase Home automation capabilities.